Last week, I went to the barbershop for a haircut, for the first time. I walked in and was greeted by two barbers sitting in the front of the shop, talking and looking out the storefront window, people watching perhaps. Mr. James was the barber I was there to see. I'd attempted to cut my own hair earlier in the week and while I did an okay job, I definitely needed a professional touch to clean it up. Mr. James took me to his chair in the back of the shop and got me all prepped for the cut/clean up that was about to happen. He was great. I showed him pictures of what I was going for and we discussed it a bit. I felt comfortable and I trusted him and his clippers. 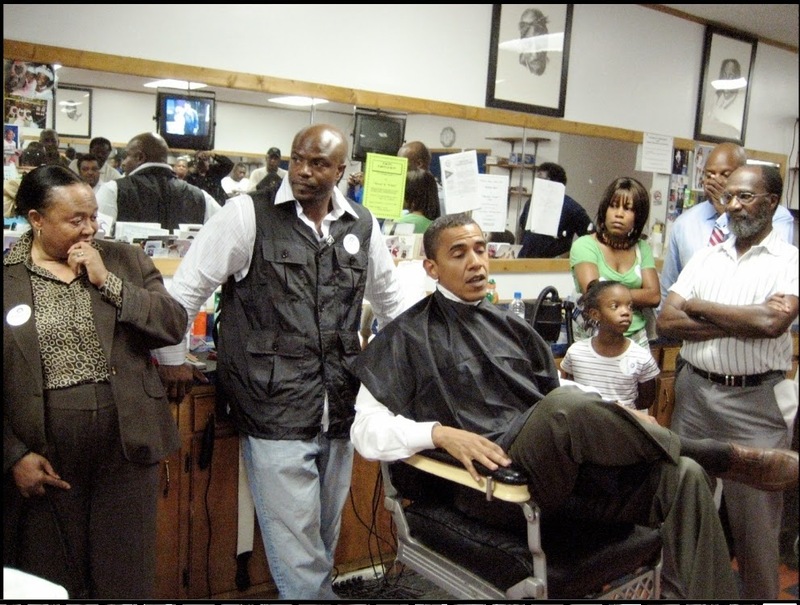 Well, if you've ever been to a (black) barbershop, you know there is always a conversation going. These conversations can be about anything, from Beyonce vs. Kelly Rowland to immigration reform. I didn't expect much "barbershop talk" considering it was only me and Mr. James- I was the last client of the day. I figured we would have the general "Where are you from? What do you do?" type of talk...nothing really substantial enough to carry out a full blown conversation, but at least enough to break an awkward silence and show interest in someone other than yourself and whatever form of social media you may be scrolling through on your phone. The conversation started out that way, with the typical questions and answers, but it did not take long to escalate into something beyond the usual small talk.. I asked Mr. James if he was from Lexington and he replied, "Yep! Born and raised! I moved away for a little bit, but I came back. This is where I'm from! I grew up on (insert East End address), and I lived on (insert East End address)... But even when I moved away, I came back to Lexington, right back here and I established my shop right here, to give back HERE." And from there, the real conversation began. We talked about the places where we grew up, the choices we made, the choices others made, and the role our environments played in developing us into the people we are today. Mr. James loves Lexington, especially the East End. For those who are not familiar with what I mean when I refer to the East End of Lexington, it is one of those areas that is 1/4 gentrified, 1/4 hipster'fied, and 1/2 historically black. The East End of Lexington is one of those places that sometimes gets a bad rep because of the way it may be portrayed in the media: poor, crime ridden, and "unsafe" (Please note the use of the quotation marks there, as many people seem to think that the East End is comparable to a Southside of Chicago or Compton, CA...and it simply is not. You have a greater chance of catching a stray bullet while driving through UK's campus area during basketball season, than you do while driving through the East End on any random day/night. *sips tea*). Can I be completely honest? It's that area of town that certain groups of people and churches love to select for their special projects and collections... you know, food/clothing/school supply drives... or the area of town that is often forgotten about when people say things like, "There's no racism, classism, or poverty in Lexington"... or the area that is remembered when people want to refer to some place as "the hood". I could go on and on, but I think you get the point. But on the flipside, the East End of Lexington is also the place where many people share an incredibly great sense of community. It's a place where neighbors actually take care of their neighbors. It's a place where you can find community gardens with fresh and free produce available for residents to have because they live in a "food desert". It's a place where you can go to the Justice House on just about any Saturday morning for a free and home-cooked breakfast, hot coffee and great fellowship. It's a place where you can find groups of young girls, like the "Be Bold Honeys", putting together community art nights to bring the community together as well as raise money for outings, so that they are not stuck at home, in front of the TV all summer. It's a place where people are not afraid to talk to each other. It's a place where young people still play outdoors. It's place where you may see someone homeless or mentally unstable walking down the sidewalk and you don't stare in the other direction to avoid eye contact and cross the road for no reason to avoid them, instead you ask them how they are doing and what they need. The East End of Lexington is the definition of community, if there ever was one. Mr. James and his wife, Andrea, moved away from Lexington for a little while, some years ago. And when they moved back, they could have chosen to live in any area of Lexington, but they specifically chose the East End. And not only did they choose to live there, Mr. James chose to build his business there. Mr. James deliberately choose to give back there, to the East End of Lexington. I used to work for a non-profit organization in Lexington and a lot of my work required me to do presentations and share the news of the good work that our organization was doing around town. Of course a lot of our work targeted those who were "marginalized" and we put a lot of effort into developing young people from marginalized environments into something more than just a "product of their environment". Looking back now on the thought process behind that, I feel ashamed. So often, we use the term "product of their/my/your environment" in a negative light, as if it is such a bad thing, when the truth of the matter is this- we are all a product of the environment from which we come. Are we all the same product? No. Does being a product of your environment have to imply that you are a bad apple? No, absolutely not. A single environment can produce or provide many things, for example: the abusive home. Two children grow up in a home where they see their parents abuse drugs and each other. One child grows up to be an exact replication of what they saw growing up, and the other child grows up to be an advocate and agent of change for children who grow up in abusive homes. Both children came from the same home, and while the paths they chose to take in life may have been like night and day, their decisions were based on the influence of the same environment. 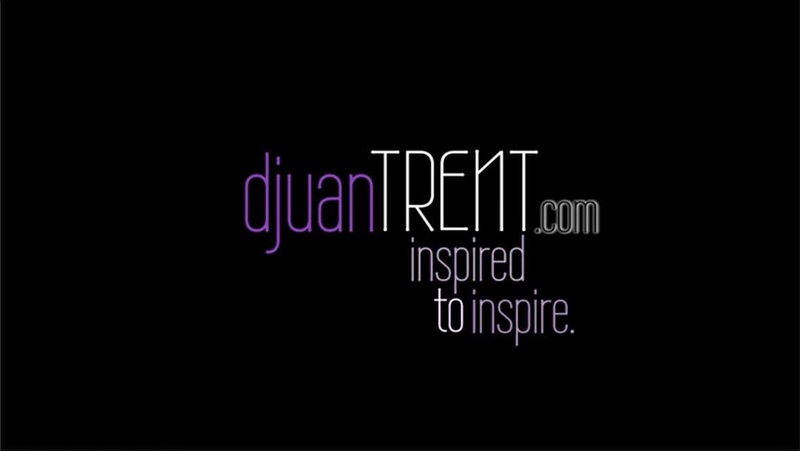 Being a product of your environment does not always have to be about being a negative reflection of a negative circumstance; it can just as well be the testimony of being a positive reflection of that same negative circumstance. Mr. James is a product of his environment. He is a successful businessman, husband, father and community leader. If you let the media tell it, he is "someone who became more than a product of his environment", but if you let Mr. James tell it, he is proud to be a product of the East End of Lexington. I went to a barbershop in the East End of Lexington last week. All I needed was a haircut, but what I left with was a haircut and a new perspective. Thank you, Mr. James.